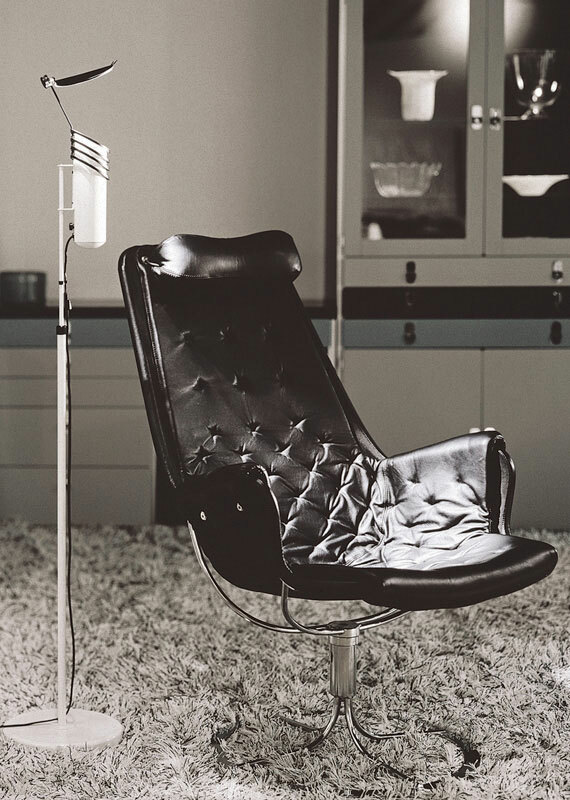 In 1964, Philips’ Design Manager Anders Pehrson, was offered the chance to take over the entire Åhus operation. His eye for design and business was crucial for ateljé Lyktan’s future when he decided to invest in mass production of the most bankable models. This was a decision that proved to be extremely fortuitous. Anders Pehrson’s watchwords becomes Form, Function, Colour and Family. During the period 1966 to 1968, two of ateljé Lyktan’s most popular luminaire programs, Supertube and Bumling, were developed and launched. 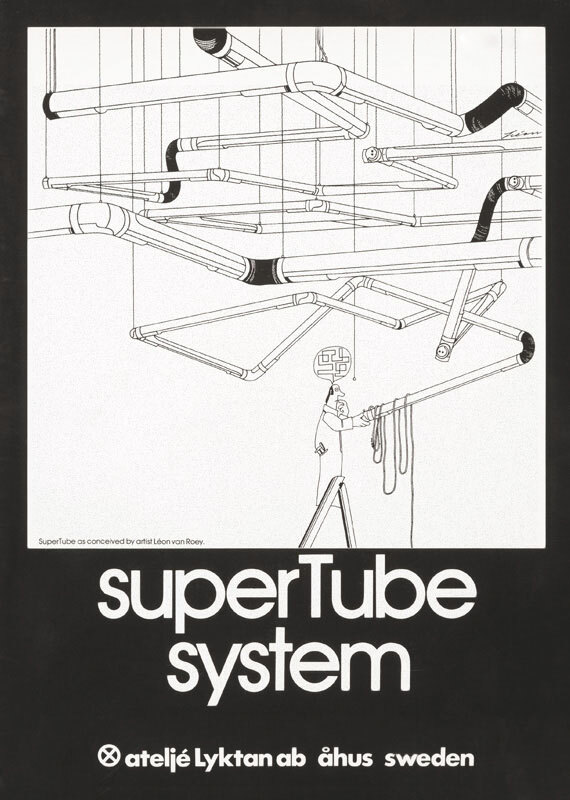 Supertube’s predecessor was an older product created by Hans Bergström. 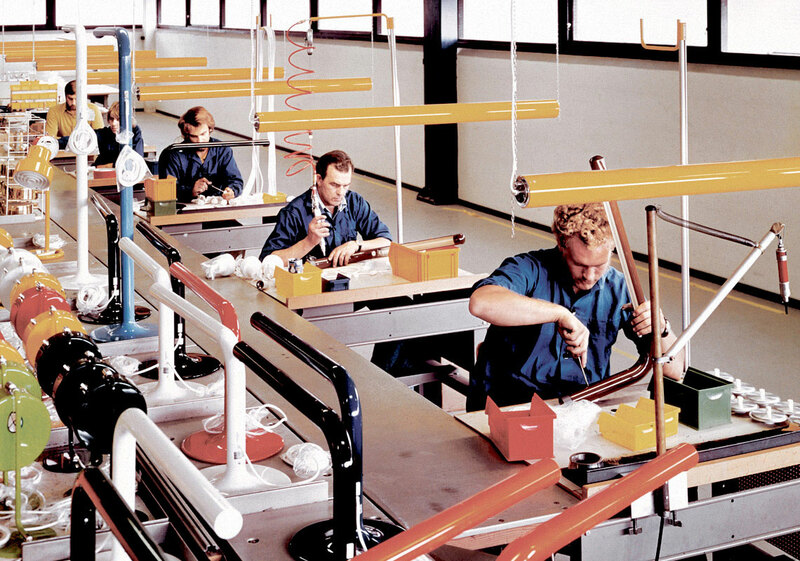 Through extensive product development and the use of a new manufacturing process, it became possible to extend tube luminaires into long tracks. 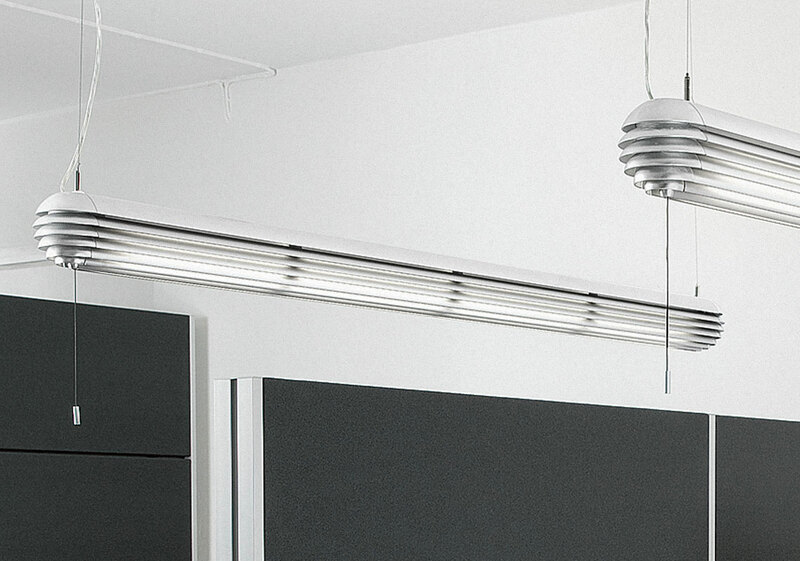 Straight, curved and angled connections allow lighting tracks to change direction and level in the room. Furthermore, the luminaire can be turned through 360 degrees on its own axis, which means light can be directed up, down or to the sides. Supertube became an enormous sales success. Both Supertube and Bumling are produced in a range of colours. Supertube. Anders Pehrson, 1967. Pictured: Single tube system and double tube. 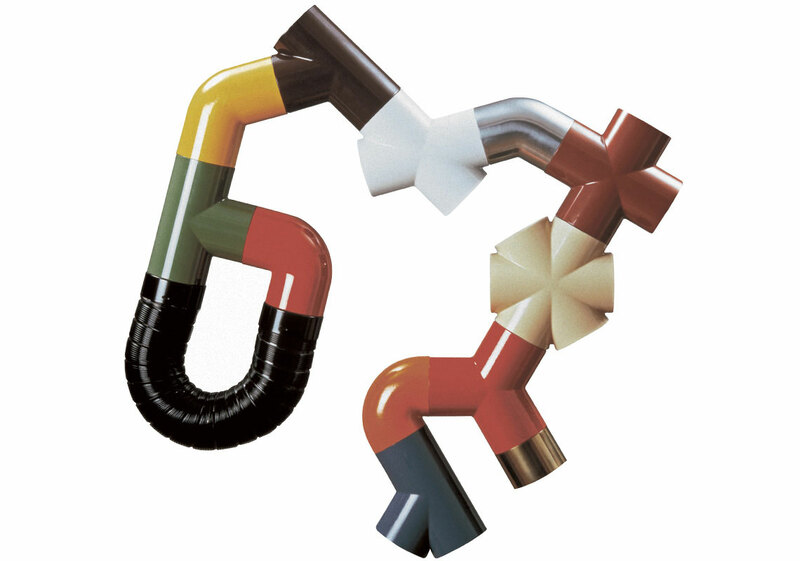 Straight, curved and angled connections allow Supertube to be extended, change direction and level in the room. Product brochure from the 1970s. Supertube System. 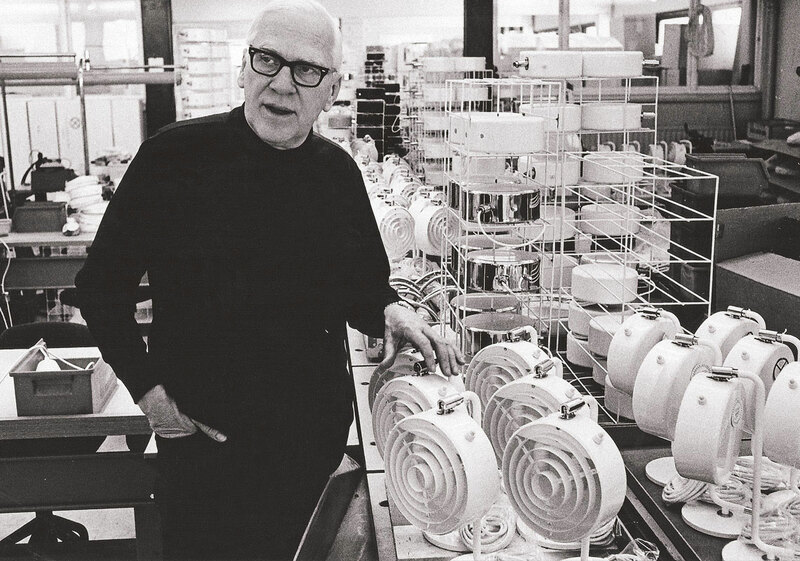 At the end of the 1950s, Hans Bergström turned the ceiling rose (the cup that conceals the hook and electrical connections on a pendant luminaire) upside down to find the basic shape for a candleholder base. 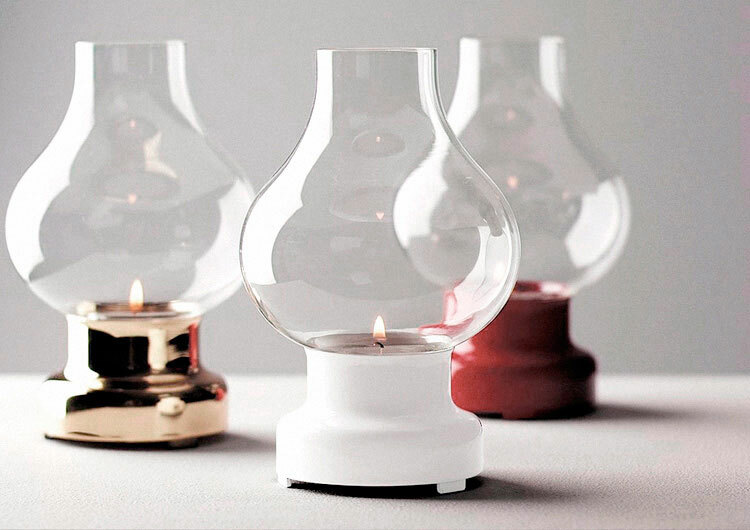 The candleholder became Model 100L, or Ofir as it's known today. There can be no doubt that 100L also provided the inspiration for Bumling, as they undeniably share the same shape. With Bumling, Anders Pehrson hits the sweet spot and applies the four watchwords – Form, Function, Colour and Family – to the max. The different colours, the range of sizes and the many members in the Bumling family all contributed to sales successes and the product became a favourite. The first example of Bumling was unveiled at the lighting equipment fair in Gothenburg, 1968. It's still a part of ateljé Lyktan’s collection. The first Bumling, hand painted in green Serva Lack. 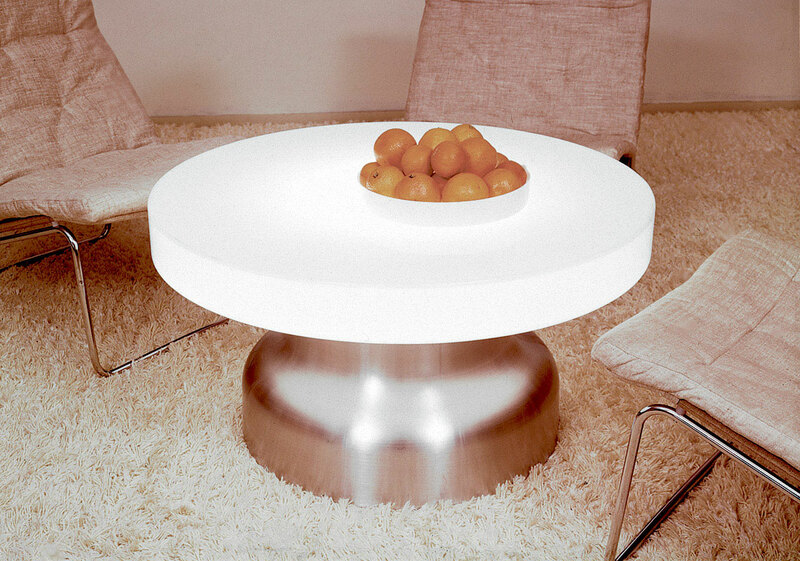 The sought-after Bumling table. The base of the table is a Bumling Ø600 mm. 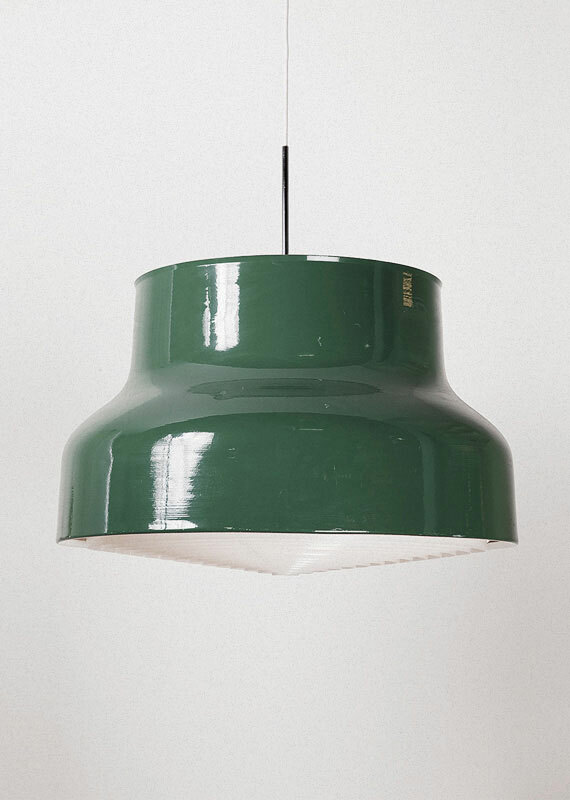 The large metal lamp from Åhus became a common sight in homes after 1968. Anders Pehrson was once selected for Olympic cycle training for the Berlin Olympics in 1936. He did not make the Olympic squad, but was later to make a great comeback. In 1972, ateljé Lyktan arrives at the Munich Olympics with 16,300 lamps. Numerically, it is the biggest order in the company’s history. Anders Pehrson and his white-painted lamps on their way to the Olympic village. The models shown below are a selection of ateljé Lyktan’s luminaires from the 1960s. 1) Model no. 781 (Simris/Olympia) 1964, Anders Pehrson. 2) Pyrola 1965, Hannelore Dreutler. 3) Rampling 1966, Anders Pehrson. 4) Fungus 1969, Anders Pehrson. Two years after the Olympic Games, Anders Pehrson sold ateljé Lyktan to Fagerhult but stayed on as CEO, Artistic Director and Marketing Manager throughout the 1970s. Bumling, Supertube, Tube, Knubbling and others, became well renowned lamps in homes and public spaces. The models developed in different directions over the subsequent years. The factory grew too small for the production Fagerhult had planned for Åhus, and in 1977 a new factory with associated office space and showrooms was completed. The company’s new premises were inaugurated by the recently crowned King Carl XVI Gustav. 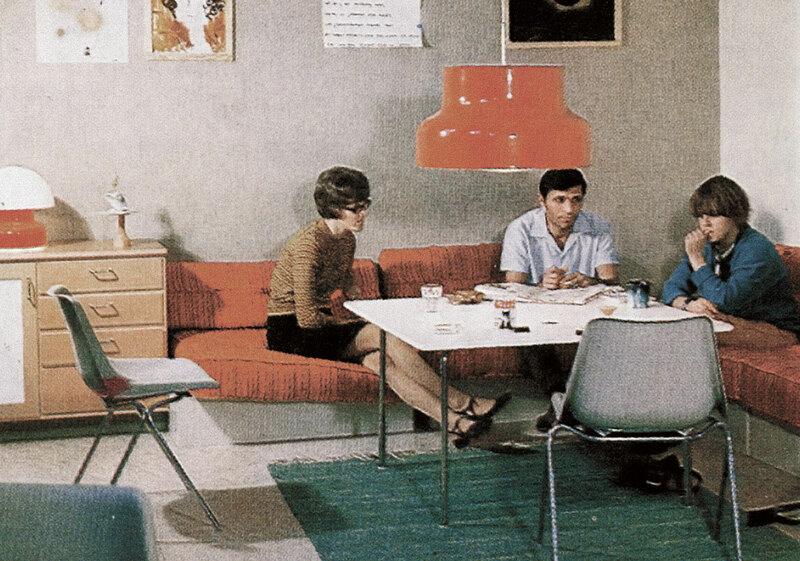 That same year, the Kosta Lampan came under the Fagerhult umbrella, and the deal included designers Per Sundstedt (Hinken) and Anna Ehrner (Anna-lamp). The factory in Åhus. Pictured: Supertube, Tube, Bumling and Simris. 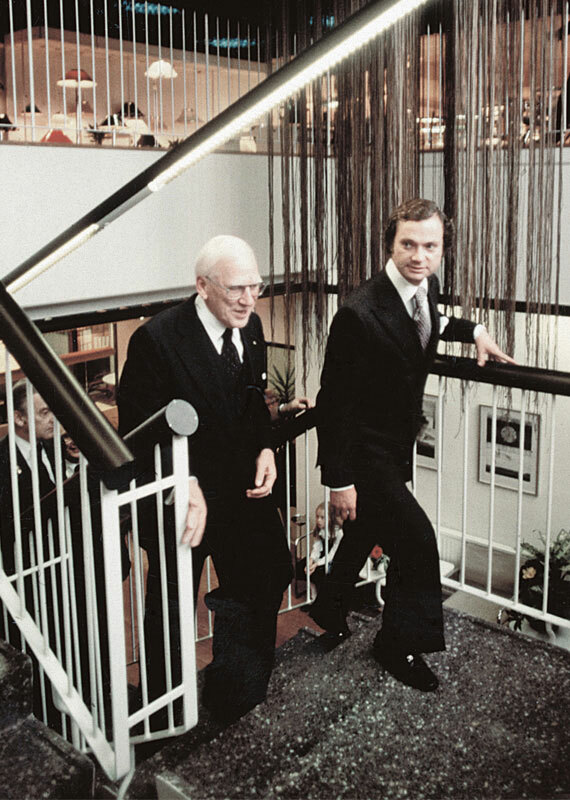 Anders Pehrson together with King Carl XVI Gustav at the new factory in 1977. Five years after the new factory opened, Anders Pehrson passed away a few months before his 70th birthday. The models shown below are a selection of ateljé Lyktan’s luminaires from the 1970s. The technically oriented Bengt Fitger took over the role as CEO from Anders Pehrson, and focused production increasingly on public spaces. During the 1980s, several more designers were active at ateljé Lyktan. The new halogen lamp light source was introduced and was used frequently in new luminaires. This meant that the incandescent light bulb more or less disappeared from new product designs. Skarabé with directional light and a halogen light source. Ahlström & Kock, 1983. With the 1990s approaching, demand for Supertube and Bumling had fallen and no heir to these giants was yet apparent. During this period, designer Olle Anderson created the outdoor luminaire Stockholm which today lights streets and squares throughout the country. The models shown below are a selection of ateljé Lyktan’s luminaires from the 1980s. When Rolf Brandstedt took up the post as CEO in 1992, his first task was to make sure a new major seller on the interior lighting side became a reality. When lighting consultant Tommy Govén joined ateljé Lyktan, there soon followed several products that were important for the company’s future. One of Tommy Govén’s greatest luminaires is Fovea – the first luminaire in the world designed for the new, narrow T5 fluorescent tube. Fovea is still in production and is a common lighting solution in office landscapes all over Sweden and abroad. Office, Tommy Govén 1993. 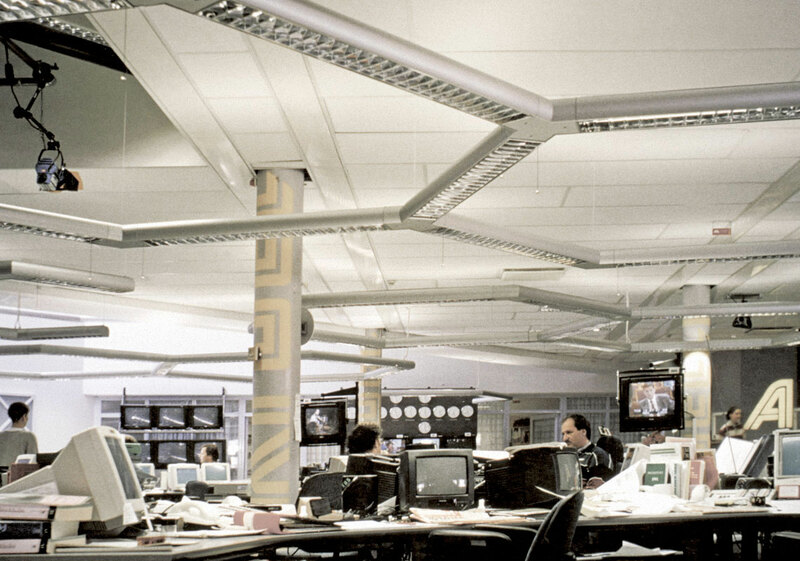 The luminaire became popular for its anti-glare properties; seen here at Swedish Television’s Aktuellt editorial offices. 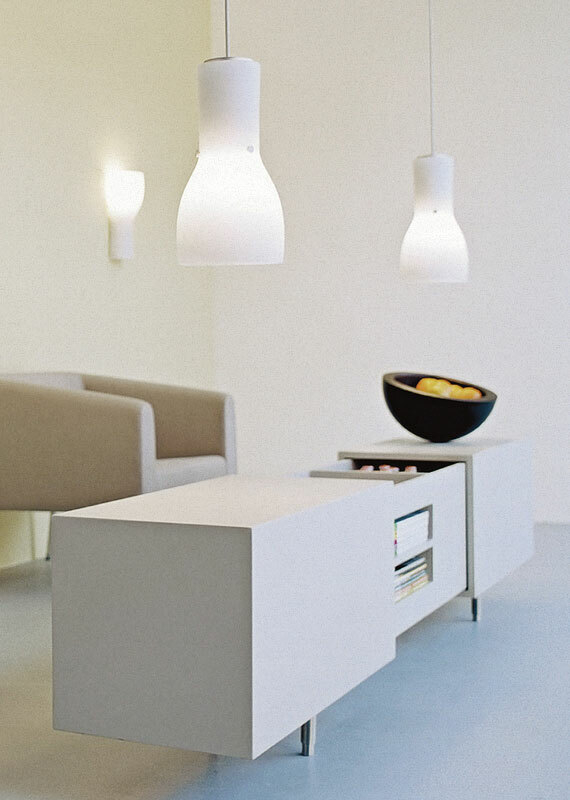 Fovea was unveiled at the lighting exhibition in Hannover in 1996. The same year, ateljé Lyktan’s founder passes away. Hans Bergström was 86 years old. The focus on functional lighting, which had until now been predominant, once again provided leeway for more designer products. The incandescent lamp made its way back into some luminaires in the product range, and at the turn of the millennium ateljé Lyktan once again showed that form and function are equally important components. 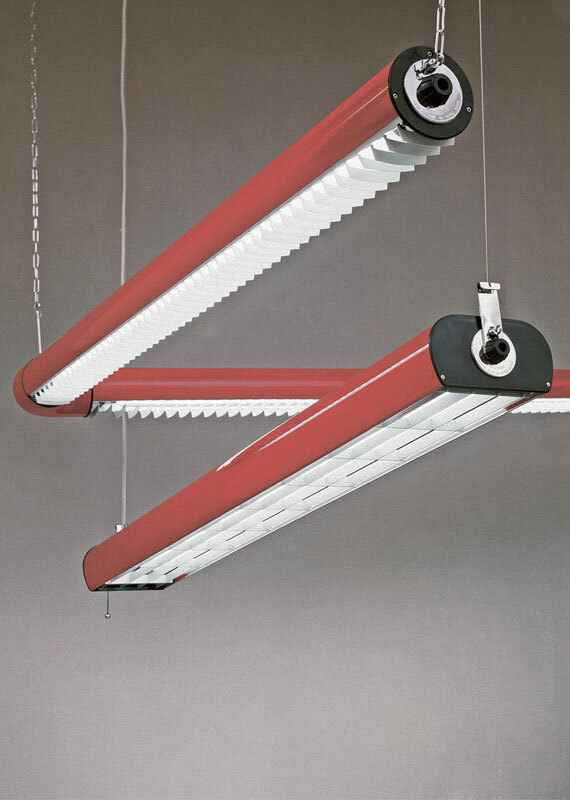 The models shown below are a selection of ateljé Lyktan’s luminaires from the 1990s. 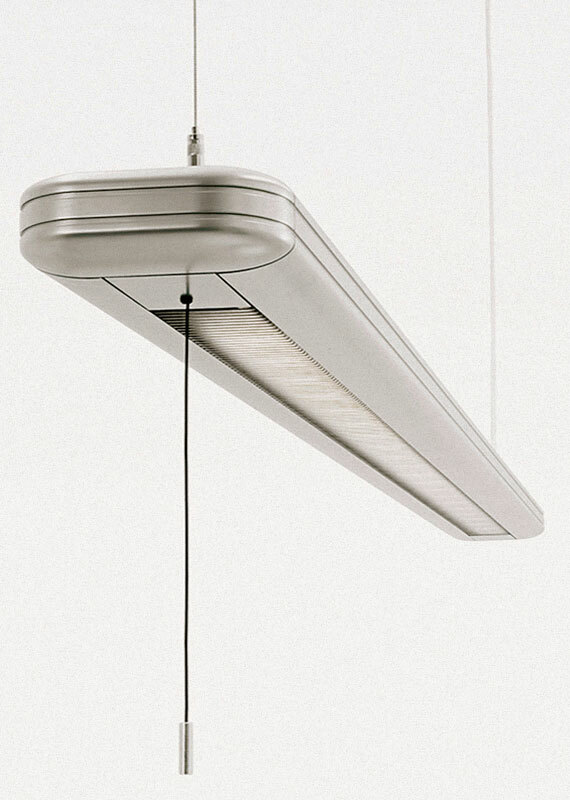 2000sThe Tundra luminaire, designed by Kristin Leibel and Kristian Andréason, won an award for its exquisite design and several products of a similar type took shape at the factory. 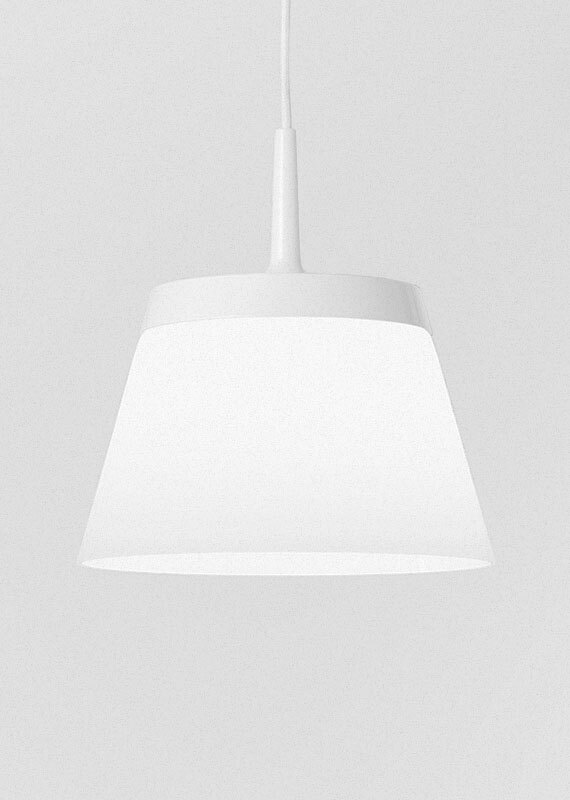 Bengt Källgren’s Time made its début in technical lighting as did the bold Fogg pendent luminaire by Stefan Borselius. Tundra. Kristin Leibel and Kristian Andréason, 2004. In 2005, Richard Wegele became CEO of ateljé Lyktan. The entire product range was reviewed and a designer council, made up of different designers, was appointed – the company entered a new phase. At the same time, the pace of product creation and launches increased. Full-scale production of the luminaire program Bebop was launched – a retro inspired lamp family created by Wingårdhs Arkitekter through Henrik Schulz. 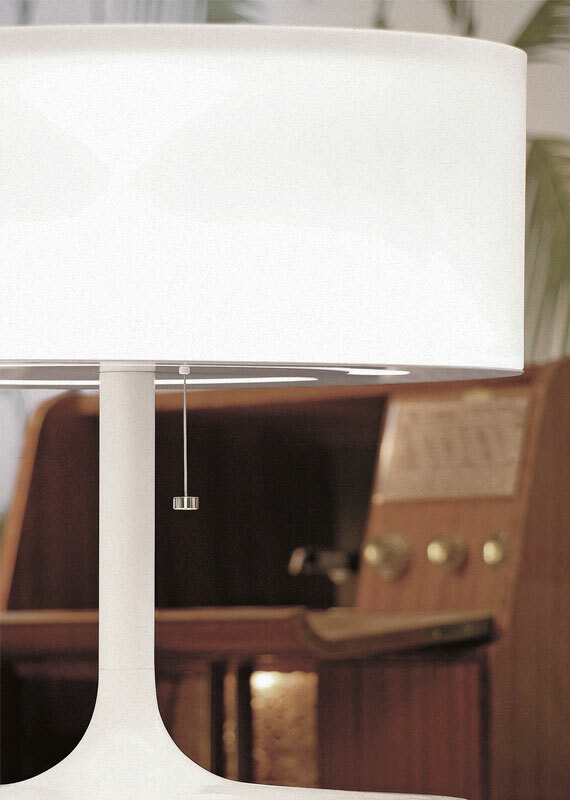 The first luminaire developed by ateljé Lyktan using the new LED light source was the Tesla table lamp designed by Henrik Schulz. The technology was also applied on the outdoor side, where Tommy Govén Origo bollard is the first LED equipped model. In 2009, ateljé Lyktan celebrated its 75th anniversary. A book was published in connection with the celebrations; Ljuset ska vara vitt och lysa fritt – Historien om ateljé Lyktan, and an anniversary luminaire was created together with Koenigsegg, maker of the world’s fastest production car. The models shown below are a selection of ateljé Lyktan’s luminaires from the 2000s. 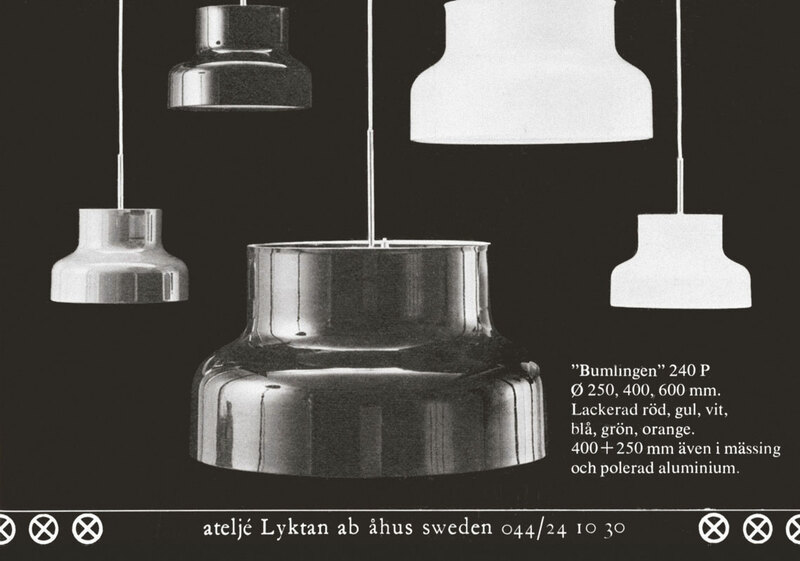 With modern classics such as Bumlingen, Hinken and Tube, ateljé Lyktan enjoys a unique place in Swedish design history. Authors Johan Jansson and Staffan Bengtsson have unearthed previously unpublished material from ateljé Lyktans archives. 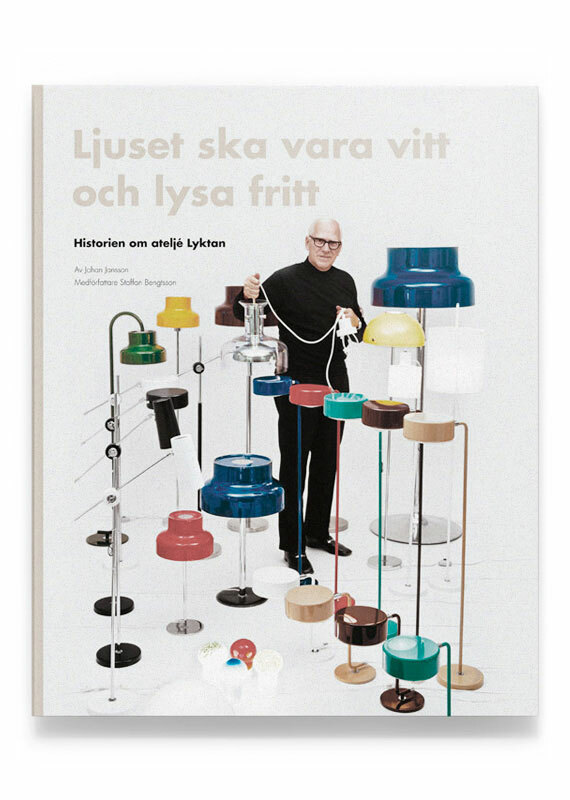 The book’s extensive content provides a source of knowledge for collectors of Scandinavian design. Johan Jansson and Staffan Bengtsson. Ljuset ska vara vitt och lysa fritt – Historien om ateljé Lyktan. The first Bumling, Johan Jansson. 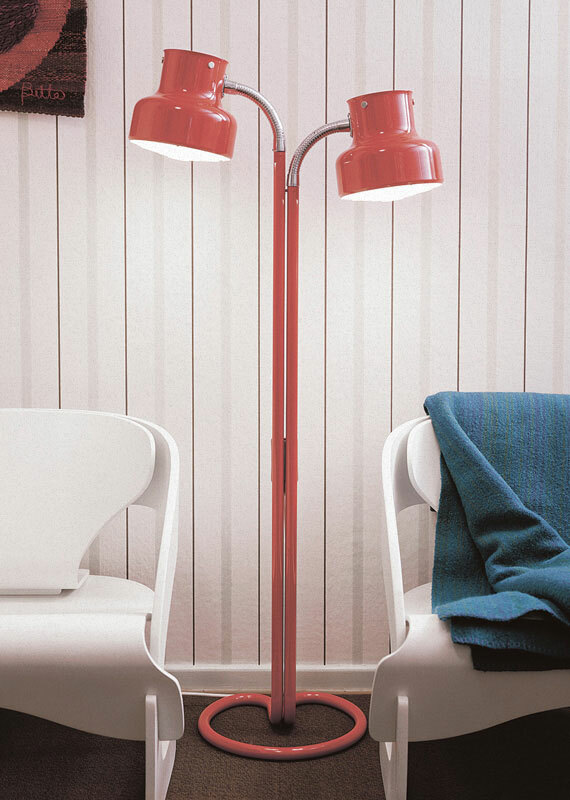 Bumling twin lamp standard, Conny Bernhardsson. Anders Pehrson with white-painted lamps, Per Erik Gustavsson. Guided factory tour, Bo Ivar Jönsson.